CMS is proposing two new hospice quality reporting program (HQRP) measures. Collection of the two new proposed measures would impact payments in FY2019. The measures were included on CMS' List of Measures under Consideration (MUC list) for 2015 but have not yet been approved by the National Quality Forum (NQF). Assesses the percentage of patients receiving at least 1 visit from registered nurses, physicians, nurse practitioners, or physician assistants in the last 3 days of life and addresses case management and clinical care. Assesses the percentage of patients receiving at least 2 visits from medical social workers, chaplains or spiritual counselors, licensed practical nurses, or hospice aides in the last 7 days of life and gives providers the flexibility to provide individualized care that is in line with the patient, family, and caregiver’s preferences and goals for care and contributing to the overall well-being of the individual and others important in their life. Data for the paired measure would be collected via the existing Hospice Item Set (HIS). CMS proposed that four new items be added to the HIS-Discharge record to collect the necessary data elements for the measure. The expectation is that data collection for this quality measure via the four new HIS items would begin no earlier than April 1, 2017. This measure calculates the percentage of patients who received all care processes at admission. These individual component measures address care processes around hospice admission that are clinically recommended or required in the hospice Conditions of Participation. To calculate this measure, the individual component of the composite measure are assessed separately for each patient and then aggregated into one score for each hospice. 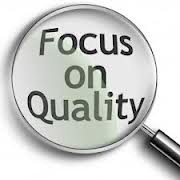 Creating a composite quality measure for comprehensive assessment at admission will provide consumers and providers with a single measure regarding the overall quality and completeness of assessment of patient needs at hospice admission, which can then be used to meaningfully and easily compare quality across hospice providers and increase transparency. To codify at §418.312 that if the National Quality Forum (NQF) makes only non-substantive changes to specifications for HQRP measures in the NQF’s re-endorsement process CMS would continue to utilize the measure in its new endorsed status. That hospices that received their CCN after January 1, 2017, are exempt from the FY 2019 APU Hospice CAHPS® requirements due to newness. This exemption will be determined by CMS. The exemption is for 1 year only. That hospices that received their CCN after January 1, 2018, are exempted from the FY 2020 APU Hospice CAHPS requirements due to newness. This exemption will be determined by CMS. The exemption is for 1 year only. This new data collection mechanism would serve two primary objectives concordant with the Affordable Care Act legislation: (1) to provide the quality data necessary for HQRP requirements and the current function of the HIS; and (2) provide additional clinical data that could inform future payment refinements. CMS views a comprehensive patient assessment instrument as a potential enhancement of the current HIS data collection instrument to be more in line with other post-acute care settings. Also, a hospice patient assessment tool that provides clinical data that is used for both payment and quality purposes would align the hospice benefit with other care settings that use similar approaches, such as nursing homes, inpatient rehabilitation facilities, and home health agencies. CMS envisions the hospice patient assessment tool itself as an expanded HIS. It would include current HIS items, as well as additional clinical items that could be used for payment refinement purposes or to develop new quality measures. The hospice patient assessment tool would not replace existing requirements set forth in the Medicare Hospice CoPs (such as the initial nursing and comprehensive assessment), but would be designed to complement data that are collected as part of normal clinical care. CMS proposes to codify that if measures currently used in the HQRP undergo non-substantive changes in the specifications as part of their NQF re-endorsement process, CMS would subsequently utilize the measure with the new endorsed status in the HQRP without going through new notice-and-comment rule making. Beginning in CY2016, hospices need to meet a timeliness threshold for HQRP reporting in order to avoid a 2% payment penalty. The timeliness threshold is currently set at 70% and will jump to 80% for the FY 2019 APU determination and to 90% for the FY 2020 APU determination and subsequent years. Plans to publicly report all seven HIS measures on a CMS Hospice Compare Web site. The CMS Hospice Compare Web site is on target to be implemented in spring/summer 2017. Based on the efforts necessary to build the infrastructure for public reporting, CMS anticipates that public reporting of the eligible HIS quality measures on the CMS Compare Web site for hospice agencies will begin sometime in the spring/summer of CY 2017. CMS has determined that all seven HIS measures are eligible for public reporting.Therefore, CMS plans to publicly report all seven HIS measures on a CMS Compare Web site for hospice agencies. Consistent with many other CMS CAHPS surveys that are publicly reported on CMS Web sites, CMS will publicly report hospice data when at least 12 months of data are available, so that valid comparisons can be made across hospice providers in the United States, in order to help patients, family, friends, and caregivers choose the right hospice program. Be sure to read highlights on the proposed rule for FY 2017 Hospice Wage Index and Payment Rate Update.